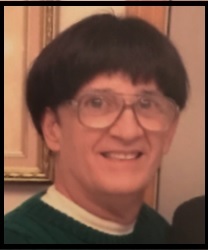 MELUCCI, Edward P., 80, of Peeptoad Road, North Scituate, passed away Saturday, August 18, 2018 at the Miriam Hospital, Providence. Born in Providence, he was the son of the late Modesto and Antonetta (Sabetti) Melucci. Mr. Melucci was a middle and elementary school teacher for the Providence School System for many years until his retirement. In 1981 he founded Our Lady of the Pines Shrine in Scituate, where Bishop Louis Gelineau celebrated the first Mass. He is survived by a brother, Robert Melucci and his wife Beverly of Seekonk, MA., and two sisters-in-law, Cecile Melucci and Michelina Melucci. He will be sadly missed by many nieces and nephews and friends. He was the brother of the late Alfred, Richard, Raymond, and Joseph Melucci, Helen Fiore, Edith Esposito, Josephine Ferrara and Emma Rossi, and brother-in-law of the late Edmund Rossi.